As with all ICA Power Tools, Letting Go and Giving Up can appear to be the same in a positive way and also in a negative way. In some situations, they may actually complement each other. Letting Go means trying not to control the situation or outcome. The saying “Let Go and Let God” goes further in releasing and fully trusting God to provide the right answer. If action is necessary it will come from a place of complete knowing and not striving. Many of us associate the phrase “letting go” with giving up, resignation, quitting, and “losing.” Far from the truth! Actually, “letting go” is an attitude of tremendous inner spiritual strength. Letting Go means freeing yourself from something that is no longer serving you. It means removing toxic people and belief systems from your life so that you can make room for relationships and ideas that are conducive to your well being and happiness. Giving Up means selling yourself short. It means allowing fear and struggle to limit your opportunities and keep you stuck. In our society we often are told to “never give up”. We read about how many failures famous inventors and sports figures experienced before their successes because they “didn’t give up”. And, when we give up, we stay stuck in the place of anger. When we let go, we move forward in a state of peace. How does one move forward? Move on? An option one can chose is to surrender, which is defined as to stop fighting and accept defeat. However, when you surrender by letting go, you stop fighting the fight of trying to hold on to control. This surrender allows you to move forward. When you surrender in giving up, perhaps the fight you stop is against yourself; not in defeat but in wisdom. Giving up can mean that you are smart enough and strong enough to know what is best for yourself. In May of 2012 I received a phone call while at work from my boss to inform me that my position would be eliminated in September of 2014. This caught me completely off guard. The call took the wind out of my sails. At first, I just sat still with the news not certain how or where to start to process what just happened. I loved my job. I needed to work. I would be almost 60 in September of 2014. I live in a seasonal resort area with few year round jobs. The list of “oh no’s” continued to grow. Ironically I had in February sat down with a retirement specialist and mapped out a plan to work until April 2016. I was going to be fine in retiring then, but now it wasn’t fine. As I was processing I realized I needed to get a clear picture of what I was up against. I needed to know what the reality was. I needed to explore the situation and see what my options were. I realized I had 2 years and 4 months of employment which I saw as a positive on my side. It gave me a platform to take an inventory of what the pros and cons were. I also became more aware of what it was I loved about my job. What options did I have within the company of finding a different position? What was my intuition telling me about the items on the inventory list? I knew there was no changing the decision of eliminating my position. In fact, I agreed with the reasons to eliminate my position. It was wise business. I didn’t however appreciative how the company handled the process of informing me and my options. What could I control? My attitude! How would I do that? By making sure I was feeding myself wisely body, mind, and spirit. I had a choice of becoming bitter and a victim, or I could be open to other options and see this as an opportunity to grow. Would I be giving up by letting go of the control? No! Creating this awareness allowed me to let go knowing I was stronger than the circumstances. I surrendered to holding on to the circumstances I could not control. It was not giving up. It was giving it up through surrendering and letting go. It would allow me to move forward. My faith kicked in quickly. I knew God was opening another window. I just didn’t know where the window was and how I would recognize it. I knew in order to see that window, a positive mindset and getting out of God’s way so He could direct my steps were necessary. I held on to this visual. When I saw opportunities within my company, I inquired about them. If I was given an opportunity, I took it. I was mindful to stay open to new experiences that I had not planned. The visual of staying out of God’s way was first and foremost. As I experience any new opportunity, I ask myself what the pros and cons of the situation are. I set guardrails of when I needed to let go and when I needed to give up. I refer to the road in between the guardrails as “Surrender Alley“. Surrender is not free. I often need to step back to get the clear picture of the current reality and what my intuition is telling me. This enables me to identify the control I am trying to hold on to and knowing when to leg go and give up. As my awareness increases so does my faith. The Client sees the problems. The Coach sees the Client’s potential. Once the Coach sets a safe, confidential, non-judgmental space for the Client, the coaching process begins. The first step is for the Client to define clearly what is going on. 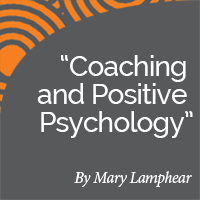 By actively listening the Coach can help the Client clarify what goal(s) they want to achieve. What are your biggest priorities? 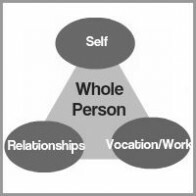 When we are clear about who we are, what we are doing and why, we find that motivation, energy, creativity and resourcefulness all flow with much more ease. Clarity is what makes the difference between giving up and getting back up. The next phase is to explore what the Client knows about the current situation. The Coach asks questions to guide the Client to discover his/her own best and most authentic answers, whether the area of focus is professional or personal. What would you gain by letting go? What would you lose by letting go? Why is it so hard to let go? Who could I ask to hold me accountable and encourage me as I let go? What does my intuition tell me about letting go in this situation? What if I let go? What will happen then? And then what will I do? Once the Client has awareness through exploration it is time to take action. 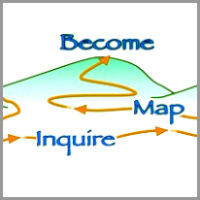 To continue action is to develop a map to take the Client from where he/she is to where he/she wants to go. By when do you want it? How will I know that I have it? What will I keep on track? If the thing I fear most happens, what is my plan B? What will I have to give up in order to make room for my goals? Once the goal has been reached, it is important the Client take time to stop, take a deep breath, and celebrate their accomplishments and recognize that he/she is an achiever. Am I mindful of what my options are? Do I know my choices? Am I still ok with the current situation? 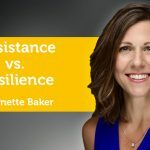 What does holding on to those things (that thing) satisfy – such as a need, hope, or approval? If I let go, what is the worst case scenario I can imagine? What worst case scenario may result if I do not let go? What is the best case scenario, if I let go? Letting go isn’t giving up, it is waking up!